Why do I want Integrity-based Leadership? Integrity-based Leadership allows you to create a business based on your personal goals so that you attract staff, customers, vendors, and peers who want to help you Succeed. Integrity-based Leadership is a concept, a planning tool, a goal-setting methodology, and a motivational source to Grow Your Company and Make More Money. Integrity-based Leadership is built on four principles. Are you willing to live by these principles? 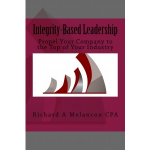 Integrity-based Leadership incorporates the best business practices for your company. This is not about social science, psychology, or manipulation. It’s about team building (getting everyone on the same page), genuine guidance from the top (leadership), and effective management (eliminating errors and exceptions). Integrity-based Leadership is not a fad. It’s not a new age, touchy-feely, week-long retreat in the woods, and it doesn’t require you to do anything more than what you wanted to do when you started your company. 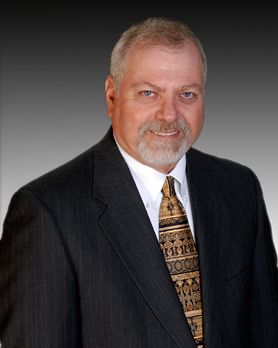 However, it does require you to commit to the four principles in all of your business transactions. Why Should I Be Transparent When No One Else Plays by the Same Rules? Want customers who value your products/services (instead of those who dread calling you to re-order)? Do you attract customers who talk about your company and beam with excitement (think DisneyWorld®). Integrity-based Leadership is a model that includes the who, what, when, why, where, and how. It is a comprehensive approach to running a reputable business that covers all areas of your business. This is not a sales model, a Human Resources plan, or a warehouse organization tool. It’s a strategy that you want your staff to implement automatically, every day, without exception. The approach keeps the good parts of your business and allows you to improve the rest. At a cost that makes sense to you. Want employees who think like you do? Looking for customers to be even happier with your service? Want your sales staff to stay excited and uncover even more new business? This is the promise and the results you’ll see from Integrity-based leadership. Make your business dreams come true. Quit accepting low profit and high stress. Build staff confidence while eliminating poor performance. Call us Today at (504) 780-9091.